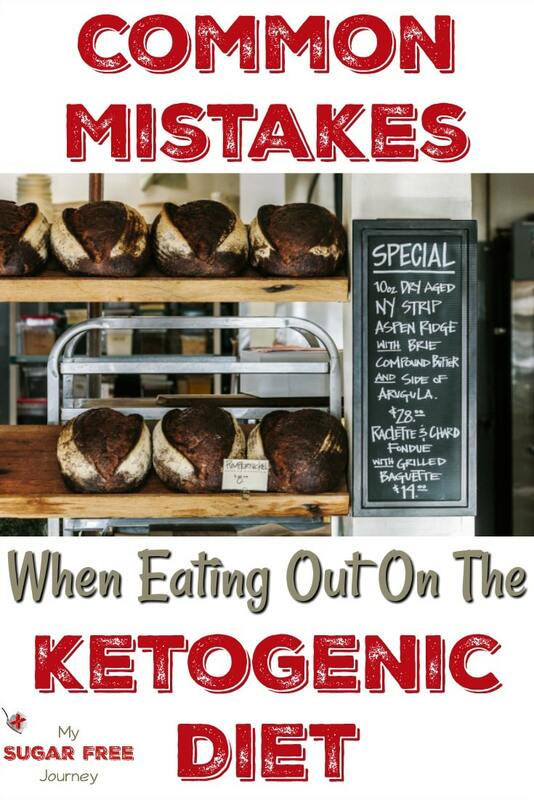 Restaurants are a bit of a minefield when it comes to eating keto. Because someone else is making your food out of your sight, it can be difficult to really know what is going into your dish. Having eaten this way for a few years now, I can tell you that there are definitely dome things you need to be aware of before you take your seat at a restaurant but before I go into the things you need to know, I just want to repeat something I say every time I talk about this subject. Restaurants should be forced to provide an ingredient list for their food. It doesn’t need to be on the menu but if there is a website, I should be able to see exactly what is going into a sauce or any dish that is more complicated than 3 ingredients. I’m not sure why Nabisco has to put a detailed list of everything in a cookie but Olive Garden isn’t required to tell me how much added sugar is in their Marinara sauce. 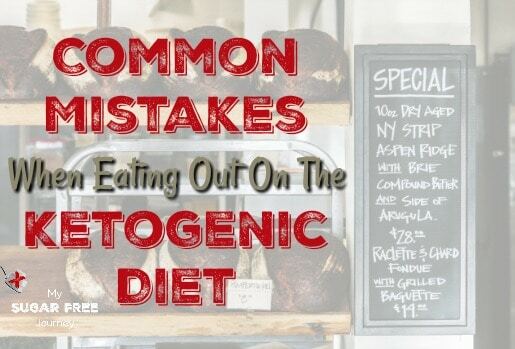 However, having had that little rant, here are the most common mistakes made when eating out on a Ketogenic diet. Learning this tip was what made me realize that even when I thought I knew what was going into a dish, I really didn’t know what was going into a dish. Many restaurants will put a dash of pancake batter into their eggs when whisking them in order to make them fluffier. Ever wonder why a Waffle House omelette is 3 times as thick as one you can make at home? Well, their’s their secret. Fortunately, this one has an easy fix. Just ask the waitress if they do that and request that they give you just eggs, no batter. They will usually do it with no problem. So once upon a time I go to a very fancy steak restaurant here in the DFW Metroplex. I decide on the salad before the meal because every single soup option had carbs. I knew that the chances of them having a salad dressing without PUFAs or sugar were pretty slim so I just asked for olive oil and vinegar which is usually a pretty safe and widely available option. When they brought my salad out with the bottles of oil and vinegar, I noticed the oil looked very weird. Just not the right color for olive oil so I asked the waitress if this was olive oil or if she had brought me maybe 2 different kinds of vinegar. She told me that they didn’t have olive oil, but they used cottonseed oil. Gross! This is probably the biggest issue I’ve run into while eating out. If there is a dish that needs oil when cooking, that oil will be a cheap PUFA like cottonseed or corn oil. I realize that restaurants need to be concerned with their bottom line and seed oils are cheap but the real problem with PUFAs are how unstable they become when heated and how badly they oxidize in your body when you consume them. The fix for this is a bit more complicated because you typically can’t just ask that they leave it out because there aren’t other options available so you will have to think through the dish. Stay away from dishes that need to be fried and try to get a roasted option. If something is pan or griddle fried, ask that they use butter instead of oil, just be sure they know the difference between butter and margarine. Sugar is tough to stay away from when eating out as it is added to almost every sauce or cream or dressing. You can try asking the waitress but your best bet is to order dishes that are very simple. This is why when I eat out, it is typically just meat with roasted veggies if I can get it. I tend to stay away from sauces unless I feel comfortable that there are no added sugars. For instance, if I am eating at a small restaurant that prepares their food from scratch, I feel much better about their Alfredo Sauce as it is probably just cheese and cream but still won’t eat the red sauce because it probably has added sugar. Just because they bring you enough steak for 3 people, doesn’t mean you have to eat it. Remember that just stretching your stomach can trigger the release of Insulin even if it’s the most ketogenic meal imaginable. Eat slowly and stop when you are full. Sometimes I decide how much I’m going to eat before I start and cut that much of my meal out and separate it or just split one meal with my wife. If you are interested, I cover tips for eating Sugar Free at Restaurants here. 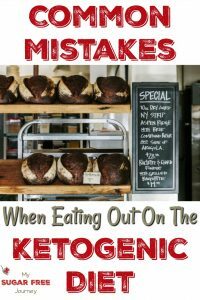 NEXT POST Next post: Can I Eat Too Much Protein on a Ketogenic Diet?